EatSmart has become one of my favorite companies to explore new and innovative products. As a consumer, I discovered the brand on my own, when I was in need of a new bathroom scale that actually worked and was accurate. The EatSmart scale was one of the highest rated on Amazon and for good reason. This review is about one of their new products. The Precision Elite food thermometer is another quality product for the company. This thermometer features a response time of 3 seconds. That resposne time is also super easy to read with a bright, backlit display. This was especially handy for the mom, who I wrangled to be a guinea pig for this experiment. She just so happened to be baking chicken breast so the timing was perfect for this review and my stomach. My mom is very set in her meat thermometer ways. The rapid response and easy-to-read display won her over right away. I myself, really like the kitchen to be organized. 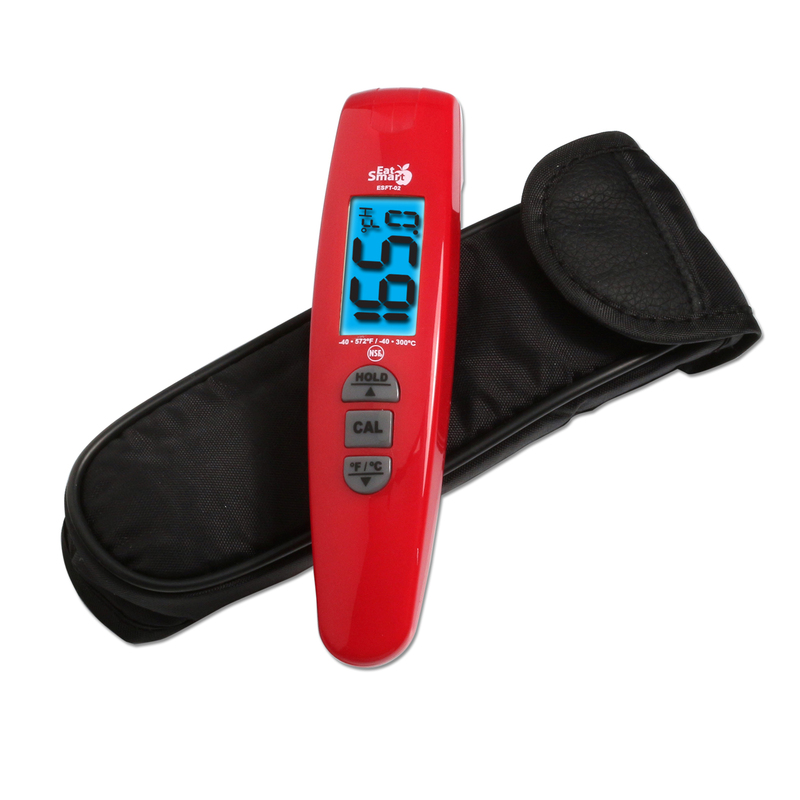 This Precision Elite thermometer comes with a nylon storage case and features a foldable design to make storage a breeze. Even better, the case is anti-microbial. According to the box, the thermometer features a range of -40F to 572F. Now, we may not have cooked anything to 572 degrees but we were pleased with the accuracy and easy of use for what we did use it for. The Precision Elite food thermometer is another win for the company who continue to deliver quality products time and again. Be sure to check out their official website for more information about their great products!